'Sheatfish' or Sumec as they are known locally can be found pretty much throughout the Czech Republic and although often fished for as a food species, they are not commercially harvested as heavily as they are in some other Eastern European waters. 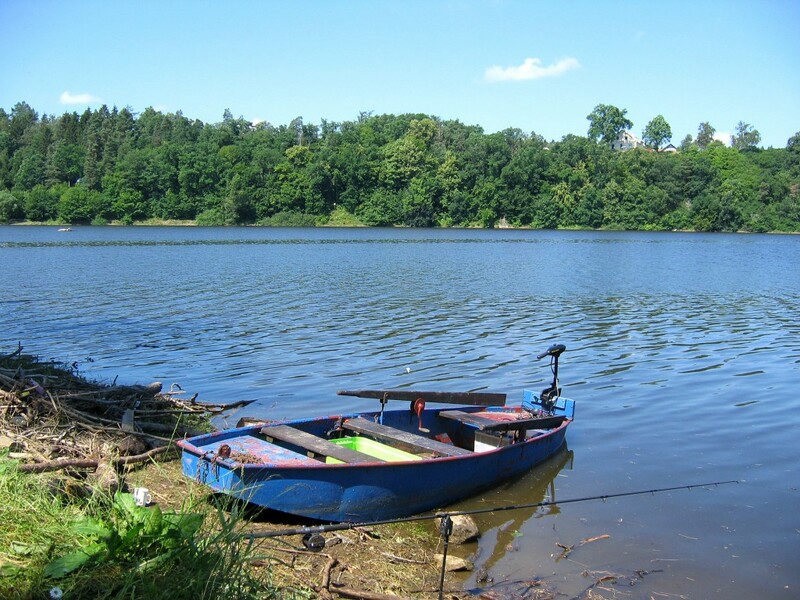 There are plenty of companies offering general fishing tours to the Czech Republic but very few doing specific catfish trips, it may be possible to get this arranged though and is well worth considering in order to get permits and licences arranged in advance. The season for catfish runs from June 16th until December 31st each year. 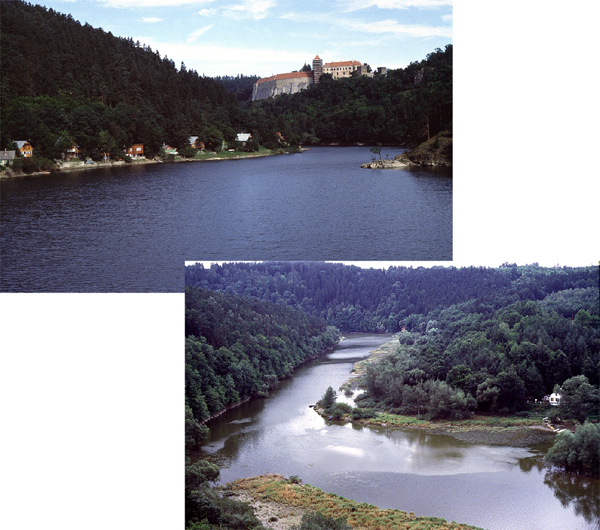 Perhaps the most well known venue in the Czech Republic is Orlik Reservoir (or Dam as it is sometimes referred to) in Southern Bohemia approximately two hours drive from Prague. This is the country's largest expanse of water and was formed when the Rivers Vlatava and Otova were dammed for a hydro-electric plant in the late fifties. Orlik is a dauntingly large venue with over 6500 acres to go at and depths of more than 200 feet in places! Long term CCG member Phil Aylett took an exploratory trip to Orlik (sadly unsuccessful) several years ago and we thanks him for providing photographs of the venue. In September 1985 the CCG organised its first ever fishing trip abroad to what was then Czechoslovakia. Tales of monster fish had reached us and importantly, there were plenty of photos to back it up. 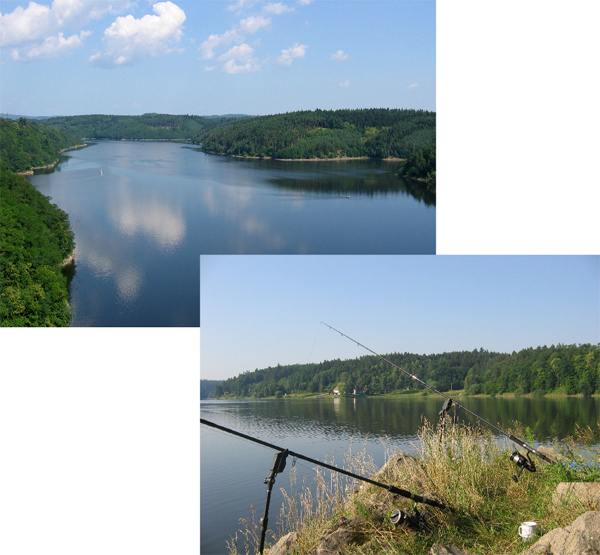 We were to fish in Moravia, with the then World record holder Lubos Mudroch at Vranov Reservoir, another huge expanse of water formed in the early 1930's when the River Dyje was dammed. the reservoir itself is nearly 2000 acres with depths of more than 150 feet. Now communist Czechoslovakia was not an easy place to organise things in 1985 and although an enjoyable trip was had by all, no cats were caught. It was however evident that the whole Dyje/Vranov system was home to some truly huge fish. Back in those days virtually every fish was taken for food or trophies but following our visit we had an undertaking from Lubos and his friends that all further catfish he caught of any size would be safely returned - we were happy with that at least. Vranov Reservoir and the River Dyje in 1985 when the CCG 'attempted' to catch Sumec!